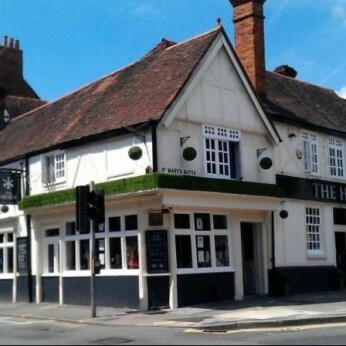 The Horn is an extremely welcoming and traditional British pub, in the heart of Reading. food, (think Gastro-pub quality, but without the pretension or price-tag). Our speciality are burgers, for veggies & meat-eaters alike, but there's so much that we offer to ensure all of our customer are licking their lips & rubbing their bellies. HOWEVER - we're not one of those pubs that's jumped on the food bandwagon, and forgotten about the drinks. After all, it is the drinkers who have shaped & supported the Traditional British Pub through the good times & the bad. So to say thank-you, we offer you a fantastic range of libations. We are passionate about pubs & hope that The Horn provides a haven for the old school, whilst tempting new crowds to ditch the bar and head for a proper pub.